This tasty cake is yet another variation of my all time favorite sponge cake recipe (posted HERE). In this version, I substituted half of the orange juice with cranberry juice, which gave it another layer of both acidity and sweetens, and pinkish color. 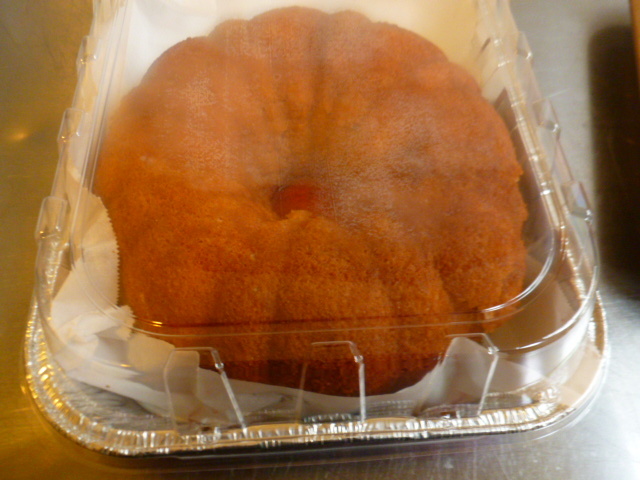 Instead of baking the cake in two pans, as I usually do, I decided to bake it this time in a Bundt cake pan. But when I started filling the pan with the batter, I realized it was too small for it. 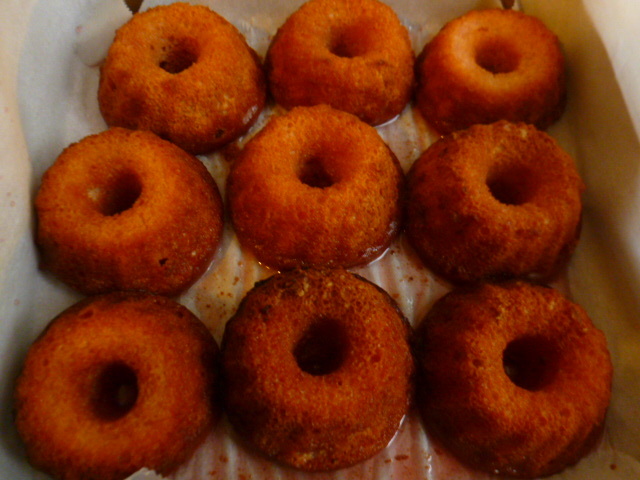 So, I quickly filled a mini Bundt cake with the rest of the batter, and baked the two pans side by side. Now, instead of having just one cake, I also had twelve mini ones, that were so perfect for serving as individual desserts. Win-win! One more change I’ve made was to not coat the cakes with butter cream, but rather, infuse them with a light cranberry–orange syrup. The cakes soaked the syrup beautifully, while keeping their shape, and became moist and fragrant. Try them and enjoy. * For best results, all the ingredients should be at room temperature. * If you want to end up with a fluffy cake, make sure not to skip the sifting stage. * Any trace of fat in the egg whites or the bowl will prevent proper whipping. Note that egg yolks are fatty, so separate the eggs carefully. * Egg whites whip better with a bit of acidity, which is why we add the vinegar. The vinegar will not affect the flavor, so no need to hesitate about using it. * The cakes can keep, covered in the fridge, for up to 3 days. 1. The syrup: mix all the ingredients in a small pot. Bring to a boil over medium-high heat. Reduce the heat to medium-low and cook for 10 minutes. Let cool and place in the fridge until using. 2. Preheat the oven to 340F (170C). Place the rack in the middle of the oven. Butter and lightly flour a large Bundt cake pan, and a mini Bundt cake pan. 3. Mix the flour, baking powder and salt in a sifter. Set aside. Separate the eggs: the egg whites into the mixer bowl and the egg yolks into a large mixing bowl. 4. 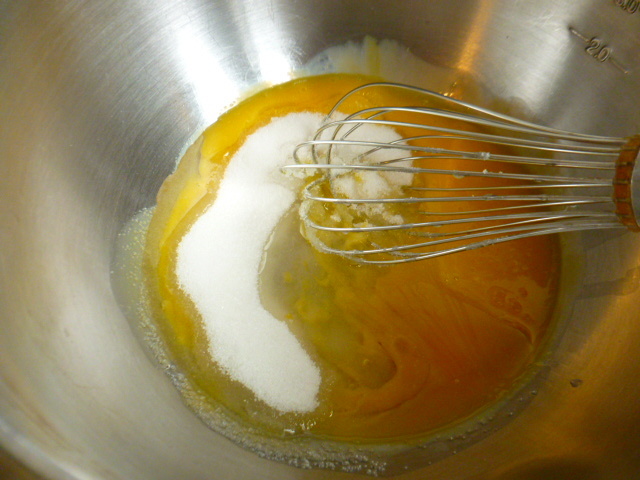 Add the oil and ¼ cup of the sugar to the egg yolks and mix well. 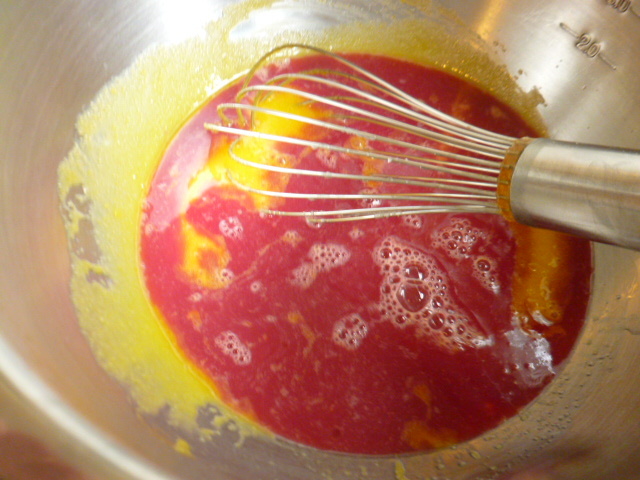 Add the cranberry and orange juice and vanilla and whisk together. 5. Add the vinegar to the egg whites and start whipping on medium-low speed. 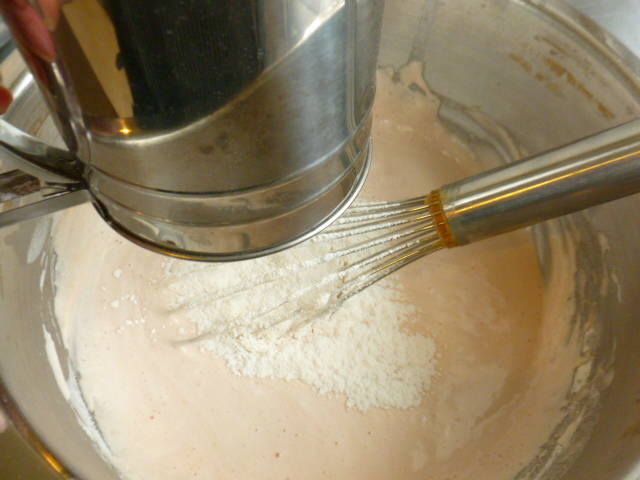 When large bubbles start to form, increase the mixer’s speed to medium and start adding the sugar slowly. 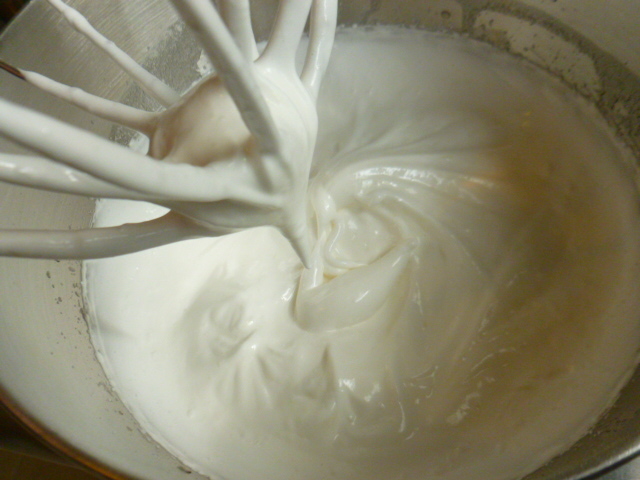 Increase the speed to medium-high and continue whipping until a firm and shiny meringue is formed. 6. 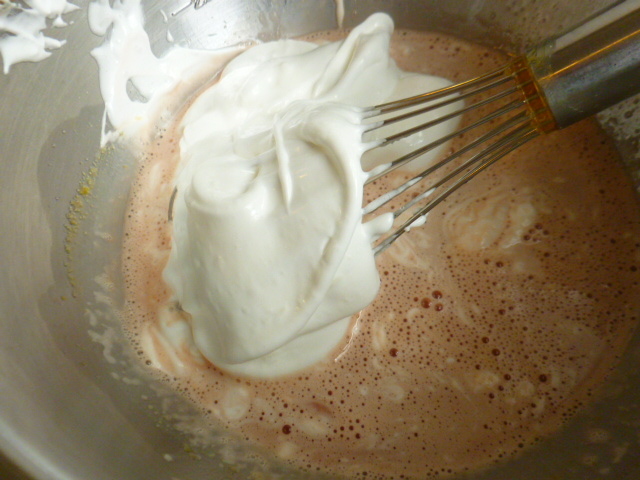 Add a small amount of the meringue to the bowl with the egg yolks mixture and whisk well. 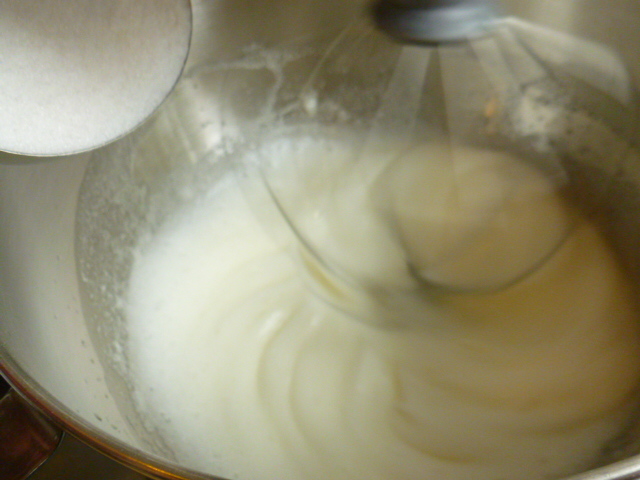 Now add about half of the rest of the meringue, and this time, whisk gently, so that the meringue will not break. 7. 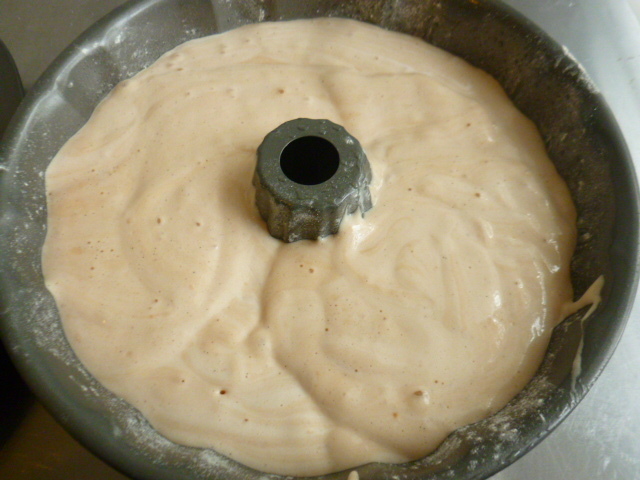 Sift the flour mixture over and fold it gently with the whisk. 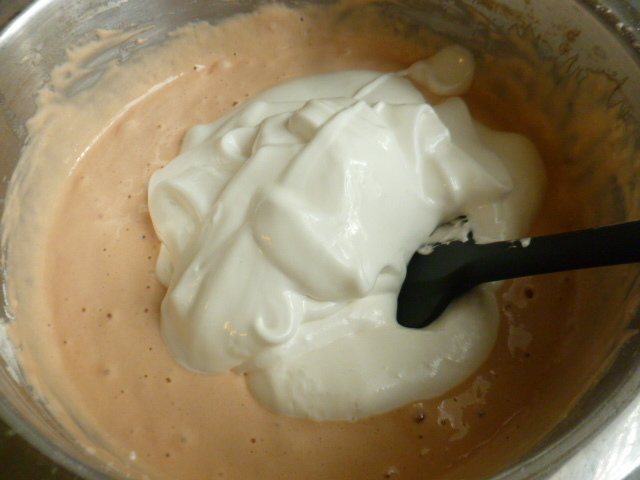 Change the whisk to spatula, add the rest of the meringue and mix gently to form a smooth batter. Do not over mix. 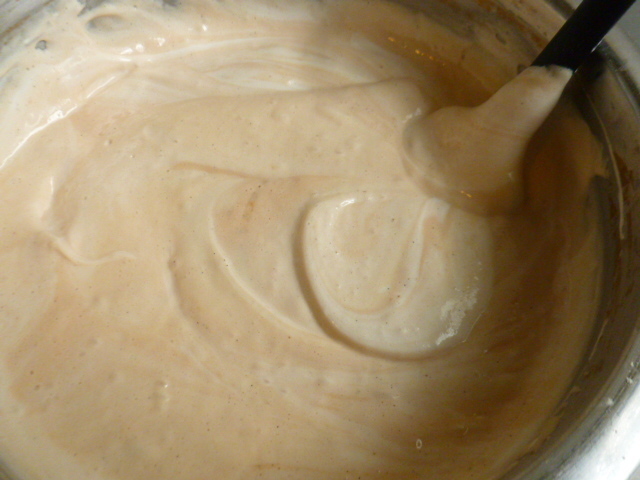 Divide the batter between the two pans and place, side by side, in the oven. 8. 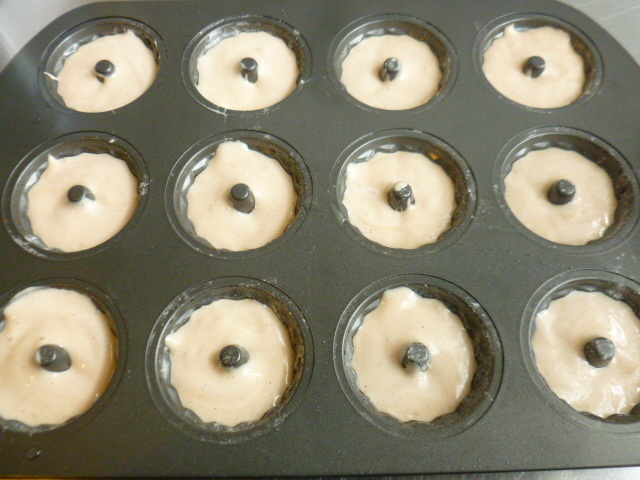 Bake the cakes: 20 minutes for the mini pan and 40 minutes for the large one. 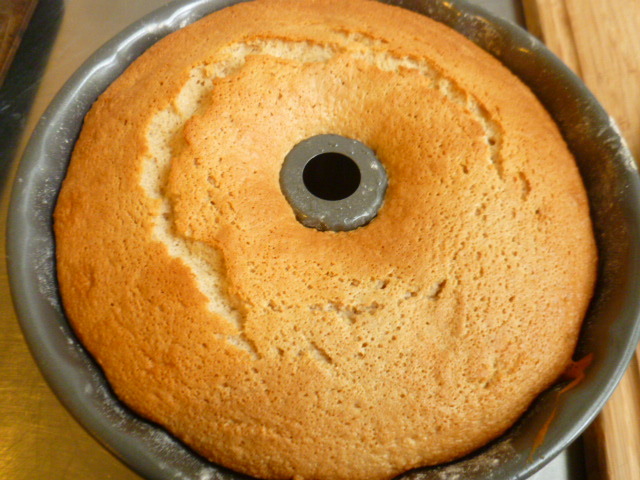 The cakes should be golden and pull from the sides of the pan, and when you press the center of one with your finger, the cake bounces back . 9. 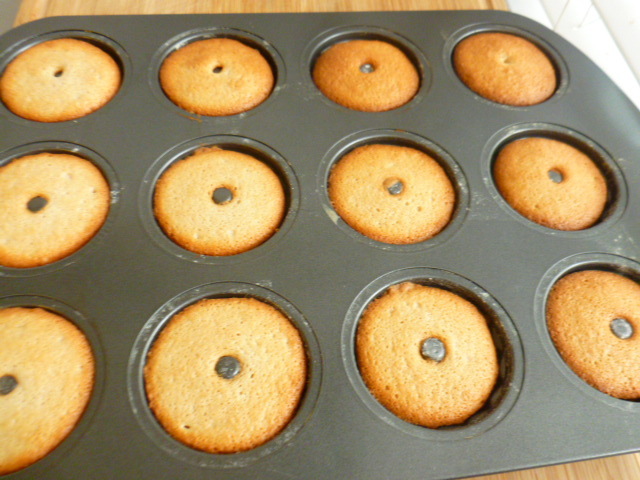 Transfer the cakes to a rack and let cool for 3 minutes in the pans. Turn out of the pans and place the cakes in two deep pans. Pour 1/3 of the cold syrup over the mini ones and the rest over the large cake, and cover. Let the cakes soak the syrup and cool completely before serving. The cakes look so moist and delicious! Yum, they sound so good and I love how pretty they look. Win win indeed. Thank you Judi. I think you’ll notice the difference in whipping egg whites when adding vinegar. I find that the whipped egg whites with the addition of vinegar hold better. It will be interesting to learn if you see any difference. 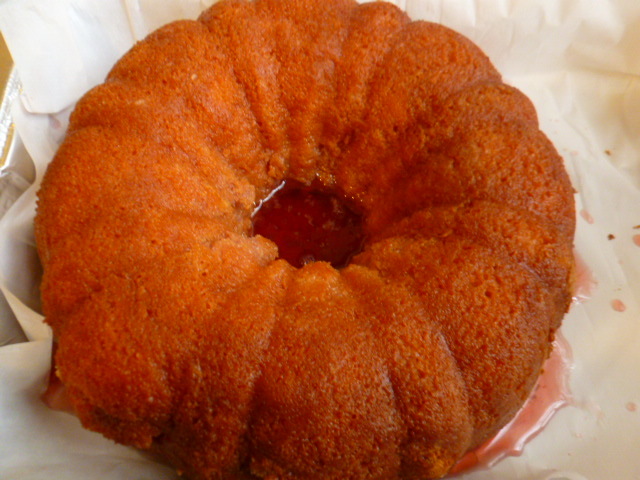 Cake looks moist and beautiful.Love the combination of juices used in this recipe. 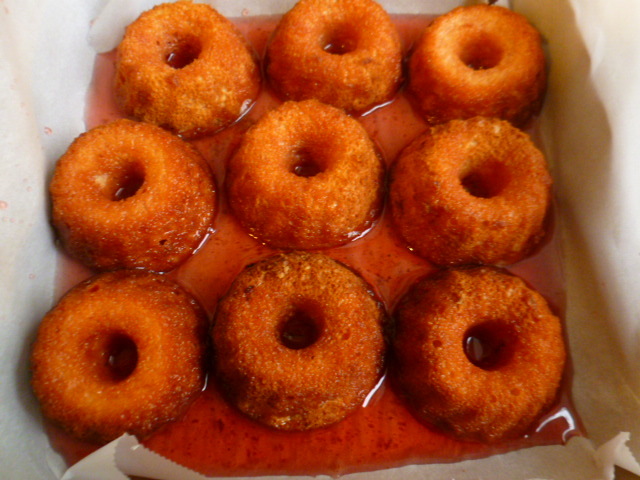 Great idea to infuse them with syrup – they look juicy and tempting! “Lasts for three days” . . . hahahahaha !!!! Thanks for the reminder to use individual pans. I have two different sets, but they are not with my other pans, and I totally forget about them. It was such a great thing to have enough batter for the mini pan. I love using it, but somehow don’t do it often enough. These look so tempting ! Love this spongy succulent cake. I love your mini-bundt cake pan. What a perfect size one-serve cake. Sponge cake is popular here, but I’ve never tried it with a syrup poured over. But, I will soon. Thank you Ron, I’m glad you liked the recipe. This was the first time I poured syrup over sponge cakes, and baked individual ones, but definitely not the last! Thank you Franck, I’m glad you liked the recipe. The inspiration for the syrup indeed came from Baba au rum, with the difference these are much quicker to make. Looks like another delicious recipe! Wow! Look at how moist it is!! 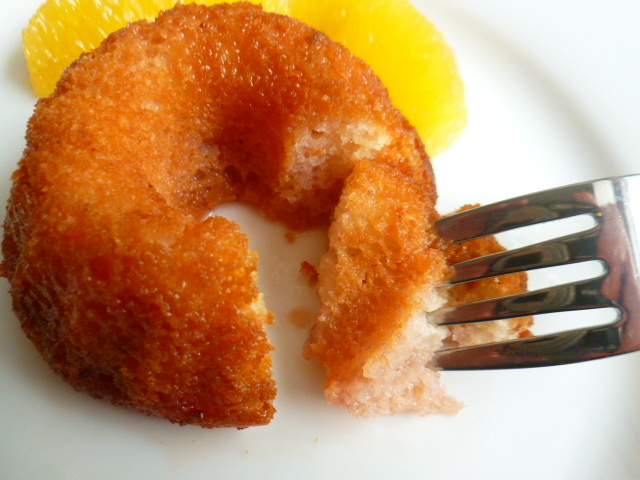 what a wonderful recipe , The cake looks porous and has well absorbed the juices! Oh, isn’t this lovely! A beautiful bite for the end of the meal! Oh my ! 😍 Juicy little cakes!! Thank you Carol, I’m glad you liked the cakes. 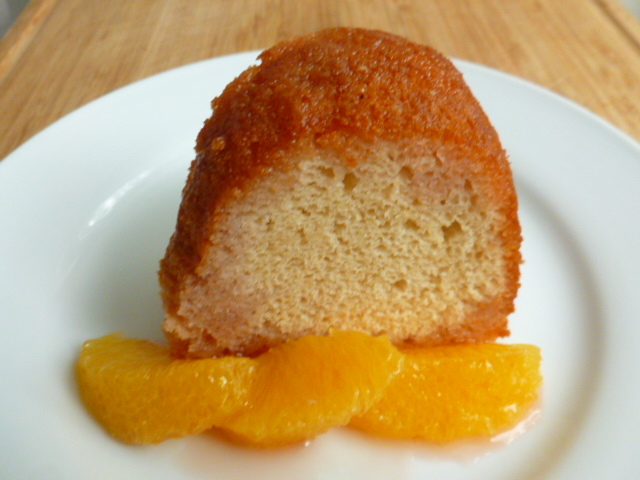 I can see why it reminded you of Baba au rum cake. However, the difference is that Baba is made with yeast dough, so it has different texture and takes longer to make. Lovely indeed. What awesome cakes. Oooo how lovely, I can almost imagine what your kitchen smelled like as you were baking these. I’m having a Moroccan inspired dinner for about 10 friends next week and I was kinda looking for a dessert that might have something Moroccan. 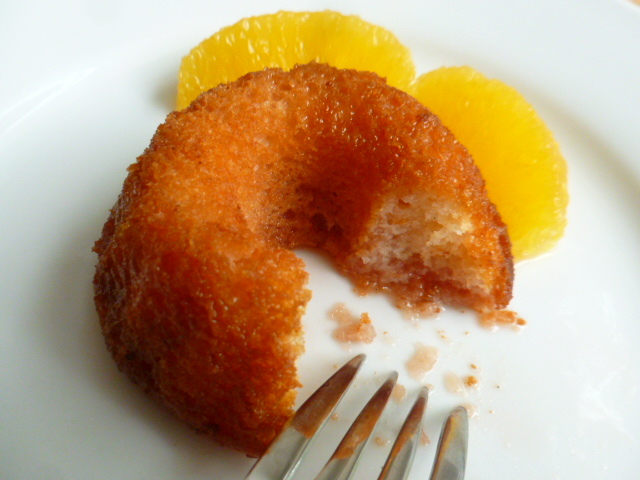 A lot of the cakes came up with oranges and orange juice. 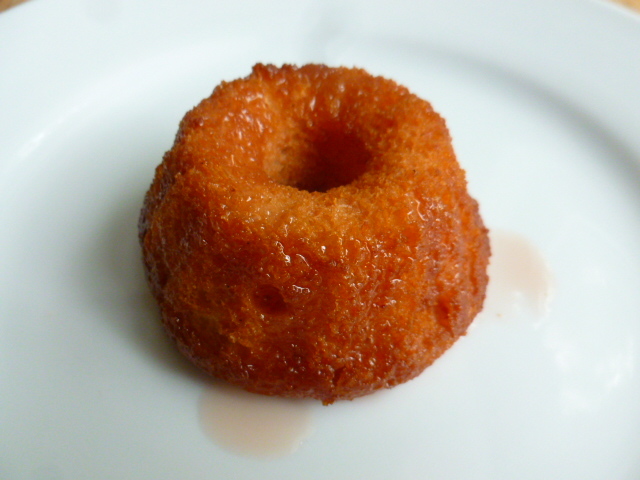 I’m tempted to try this one, but don’t have a mini bundt pan, just the large one. Did you think that quantity was not enough for the large one? Thank you Loretta, I’m glad you liked the recipe. There was indeed wonderful smell in the kitchen while preparing the cakes. My large Bundt cake pan holds 12 cups, and it was actually too small to contain all the batter, which is why I had to use the mini pan as well. If you don’t have the mini pan, you can bake the extra batter in any small pan, or muffin pan, you have. Brilliant idea to add some cranberry juice. They’re very pretty. Reminds me a lot of individual savarins I used to make when I catered. A lot of work, but I’d make them in different flavors and they were always a sweet hit! I can almost taste it! The photos are wonderful! Whenever I see this picture on reader I feel hungry!! !